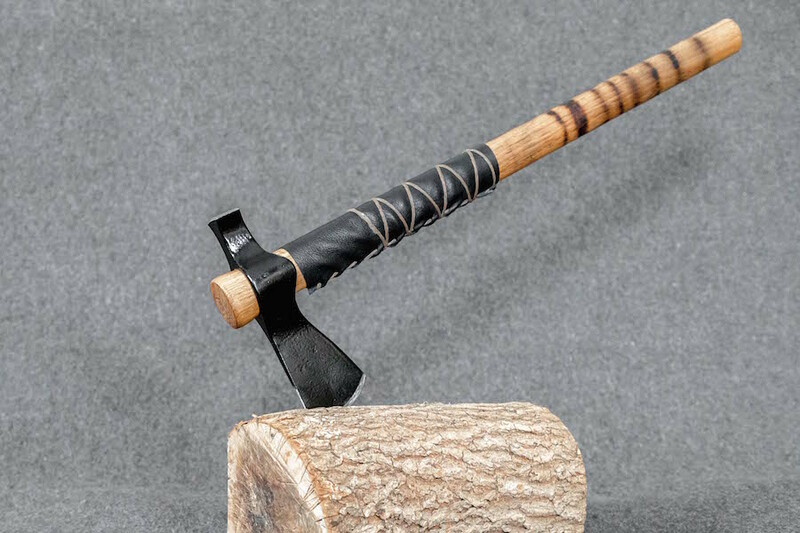 I have quite a few inexpensive axes and hatchets such as a stainless Silverline axe, a Draper hatchet and a Cold Steel Tomahawk (Trail Hawk). 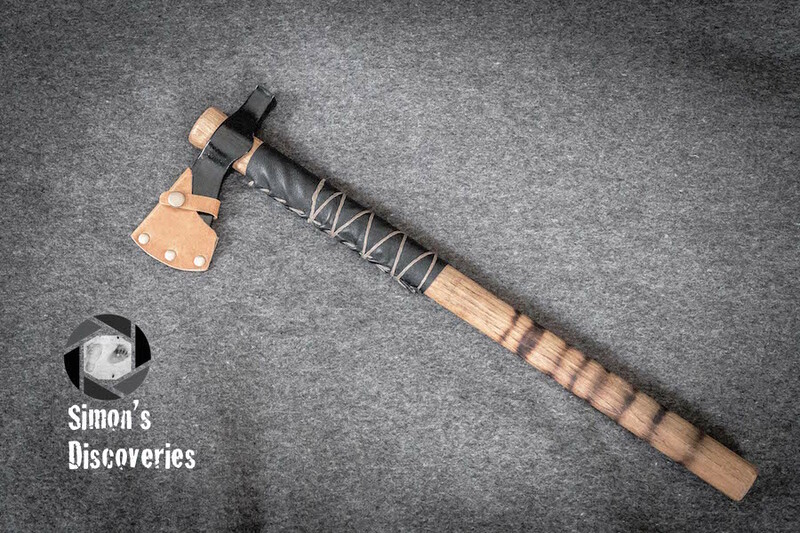 None of these came with a protective sheath or a mask, which meant I had to either make, or buy them separately if I was going to put them in a back pack and transport them safely and securely. 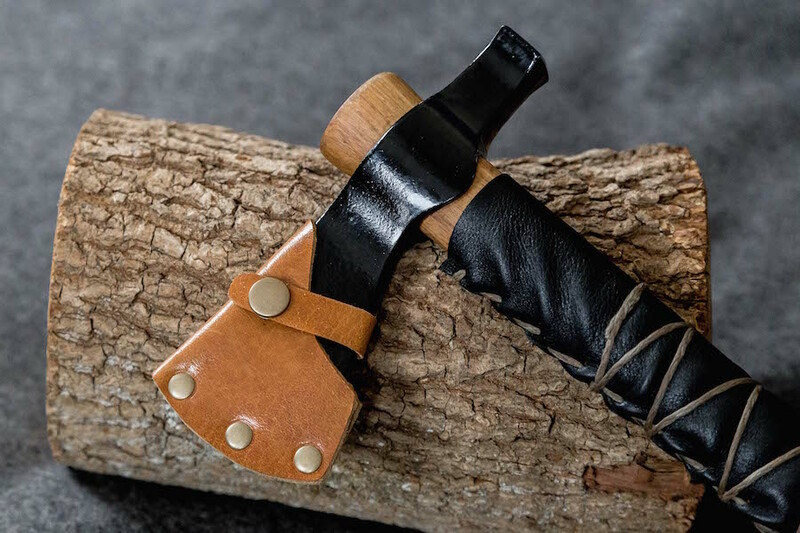 Sheaths or masks are really useful things and it’s a shame most inexpensive axes or hatchets don’t come with them. It’s understandable though. If they did, they probably wouldn’t be inexpensive anymore. 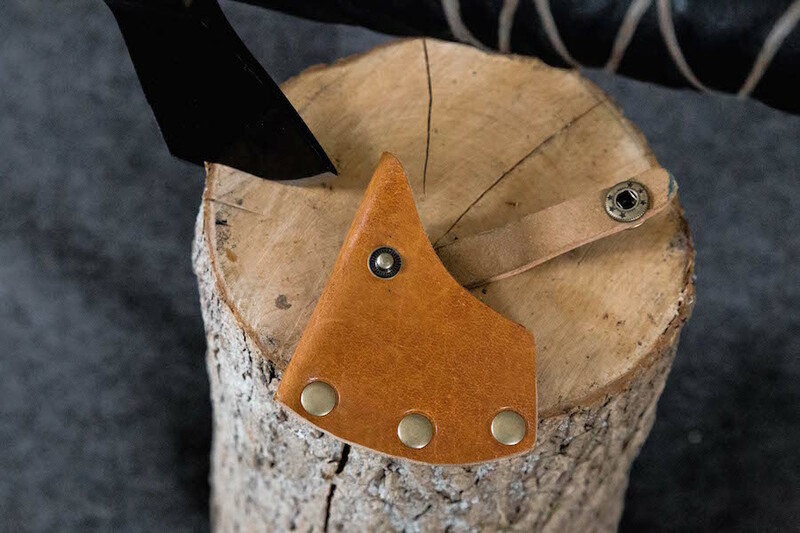 I noticed that it is possible to learn how to do the leatherwork yourself without spending any extra money. Especially if you have some of the materials needed at home. 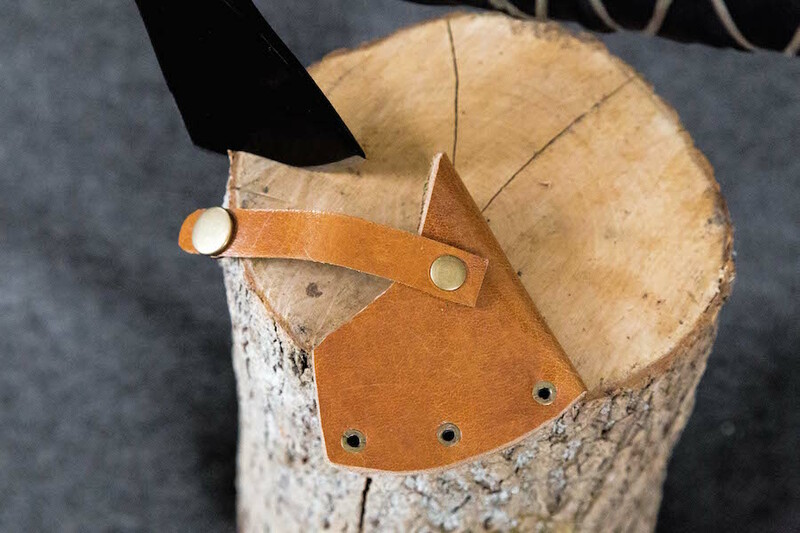 If you do not, it still won’t be very expensive since all you need is a hammer, a few rivets, press studs with their punches, bolts and those little anvils, and scrap leather from an old bag, boots etc.